Description: The best compliment to a noble armor is a noble helm. 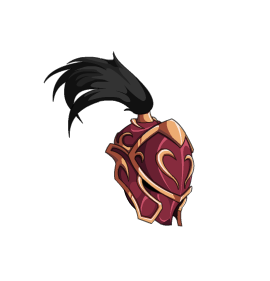 Pick this helm up, completing the Love Knight's armor and take to the battle, weapon raised and ready to lay waste to everyone standing in love's way. Thanks to Madam Lofty and Tendou no Mazo.